Try this simple recipe with step-by-step instructions and make Salted Caramel Sauce at Home in no time. This caramel sauce is perfect over desserts, muffins, in frostings and frappucinos, and one batch will last you for at least a few weeks. 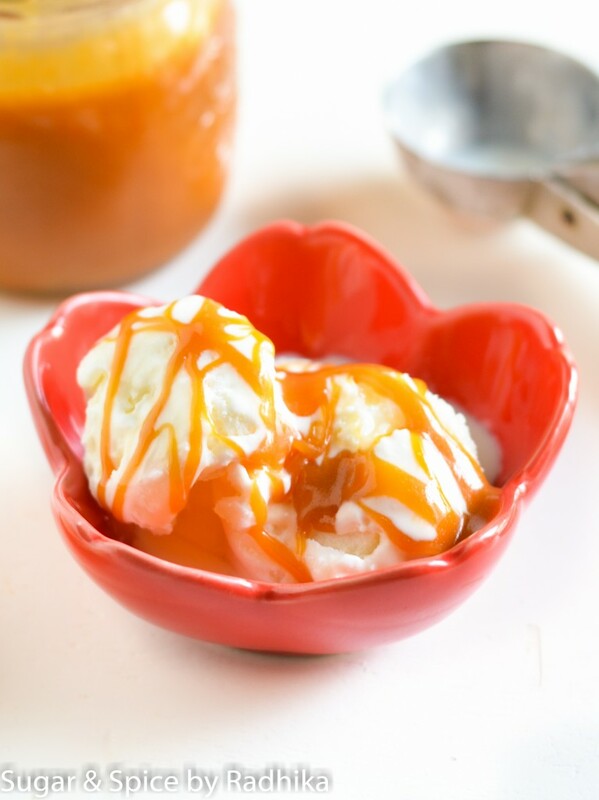 If there’s one thing that should absolutely be present in a dessert lovers refrigerator it’s this salted caramel sauce. Top this on any dessert and take it to another level. 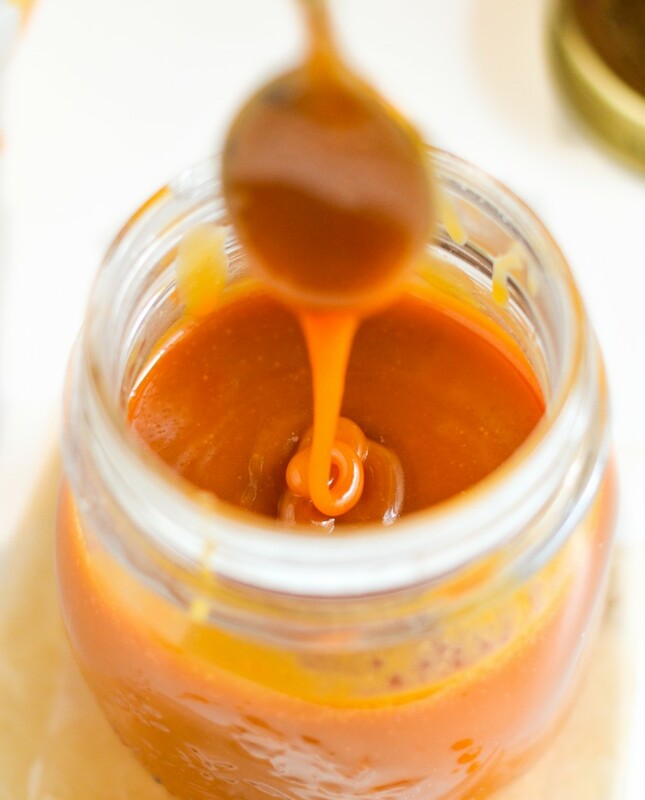 This salted caramel sauce tastes amazing on ice creams, tarts and on muffins. I cannot recall how many times I just drizzled some on a chocolate muffin and devoured it. 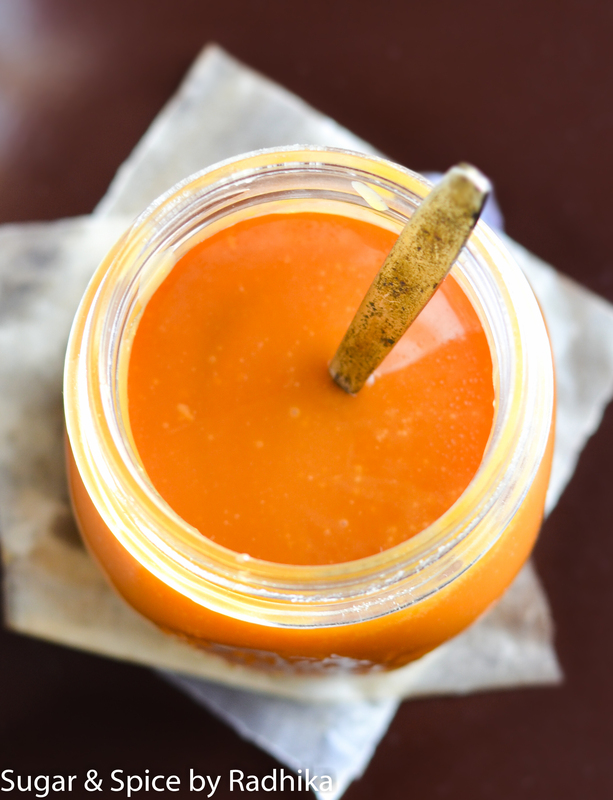 8 times I think, because that’s how many muffins I made :/ Say bye bye to your skinny jeans because it’s not skinny jeans you need in your life, it’s this salted caramel sauce. 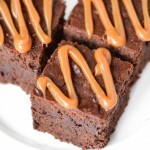 If you don’t know what’s so different about a salted caramel sauce and if the notion of adding salt to your caramel sounds icky to you then stay with me here. Adding salt is important because a normal caramel sauce is wayyyyy to sweet, I mean that’s not necessarily a bad thing but it needs a kick to reach that level of perfection and the salt provides that kick. I’m not kidding when I say this that all desserts need a little bit of salt, even the ones with chocolate. 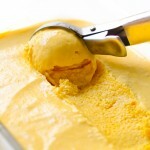 Instead of tasting all salt-watery, desserts with salt actually taste much better than without it. Why? Because salt brings out flavours that you didn’t know existed. Now don’t go on adding heaps of salt to every dessert, but a teaspoon or even a pinch works wonders! This Homemade Salted Caramel Sauce is not even tough to make, to be honest it’s actually one the easiest things I’ve made. You have to be a little careful though because of all the boiling sugar but once that bit is done it’s really easy. Oh and don’t underestimate the hotness of the sauce here, I burnt myself TWICE while making this but it was my fault completely – I mean who touches a spatula with HOT caramel anyway? Apparently ME..TWICE. Just be smart, not stupid like me and you’ll be fine. Try this simple recipe with step-by-step instructions and make Salted Caramel Sauce at Home in no time. 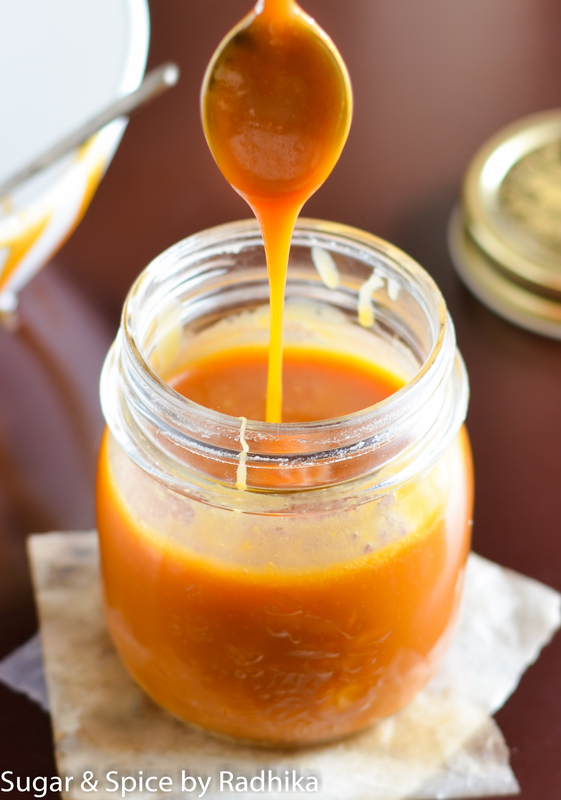 This caramel sauce is perfect over desserts and in frappucinos, and one batch will last you for at least a few weeks. 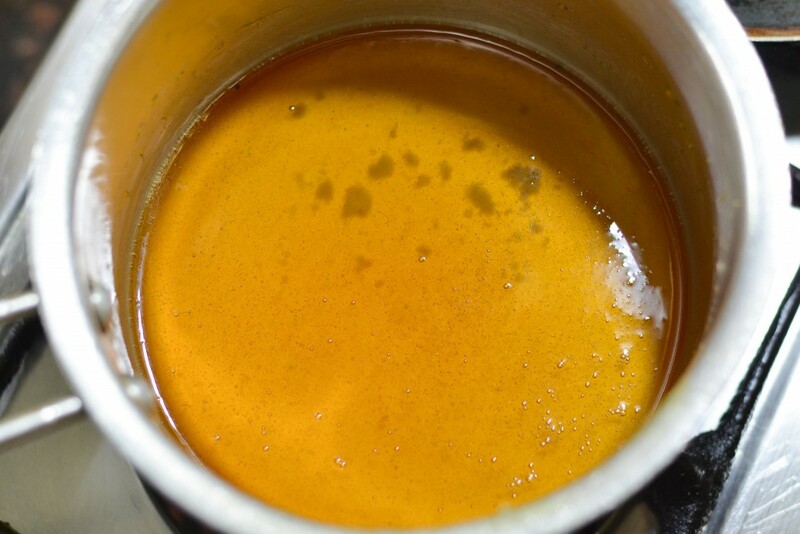 Transfer the sugar to a heavy bottom pan and melt it on a low flame until it turns amber in color. Keep stirring in intervals with a spatula (but not too much). 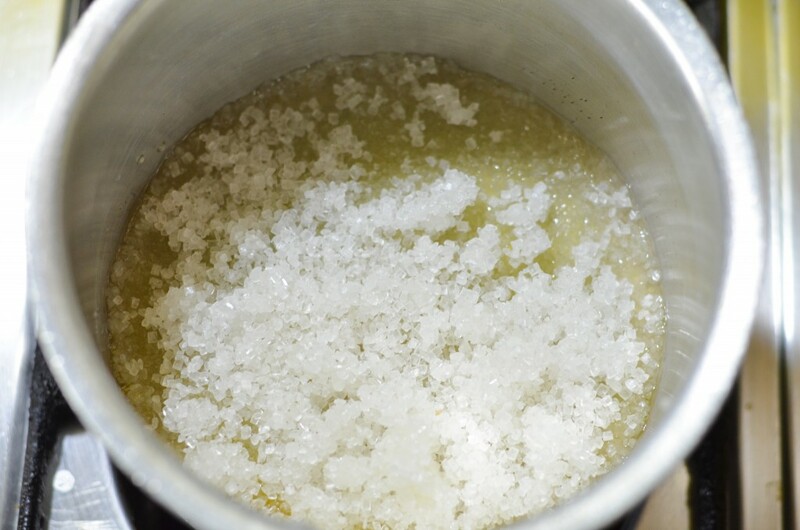 The sugar will form into clumps but will eventually melt. Wait for the sugar to melt completely and turn amber like this. 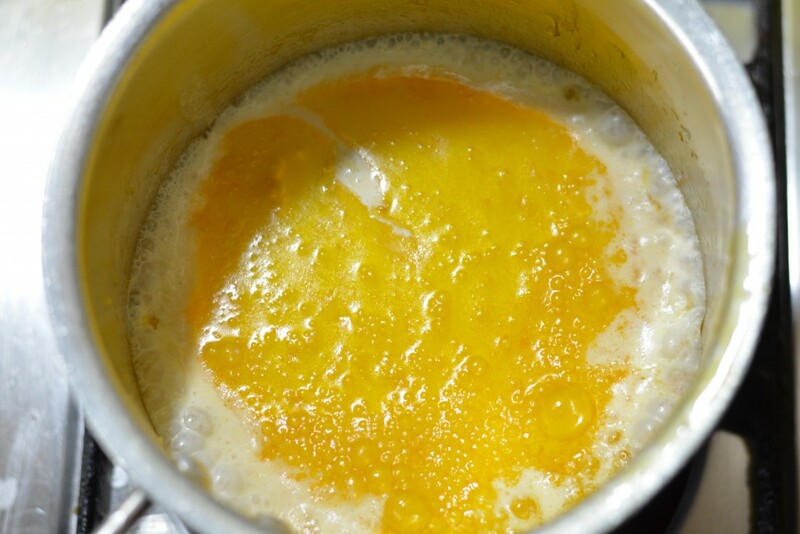 Once the sugar is melted, add in the butter, still on low flame and let it melt. The sugar will splatter slightly so be careful. 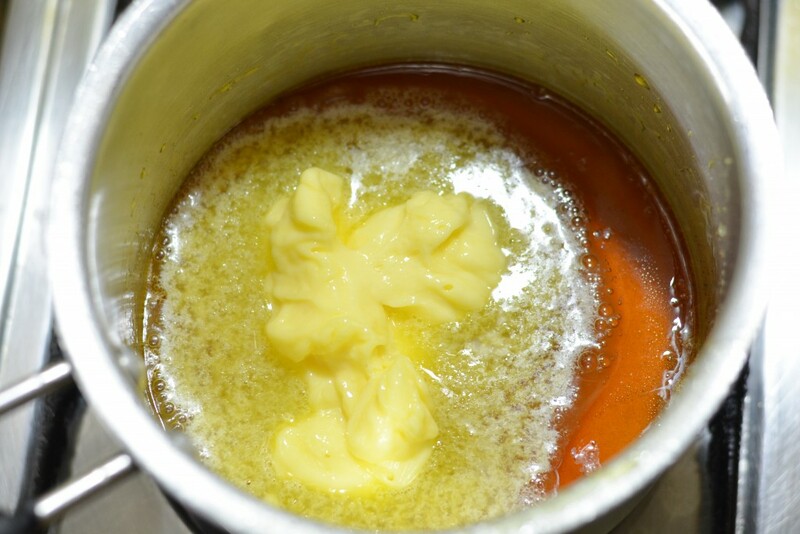 Once the butter and sugar are combined (they won't combine completely don't worry) and the butter is all melted, add in the cream. 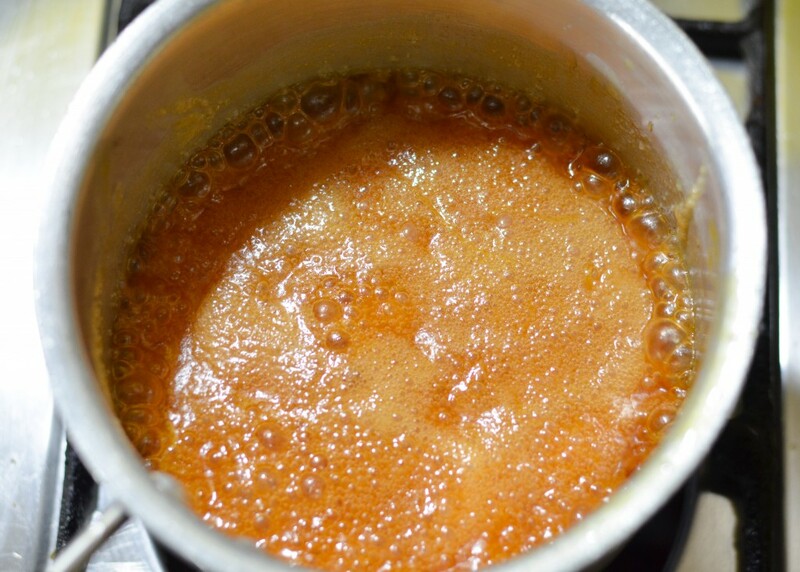 This step is when the caramel will go crazy so make sure you don't burn yourself. 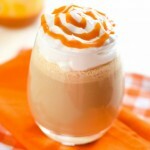 Once you add the cream, boil the caramel for a full minute on high and keep stirring. 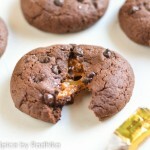 After a minute turn off the heat and mix in 1 teaspoon of sea salt to your caramel. Taste it and see if you'd like to add more. I started with 1 teaspoon but went up to 2. Try what you like and adjust the salt according to your taste. Remember you can add more but you cannot take away the salt so add it with restraint. 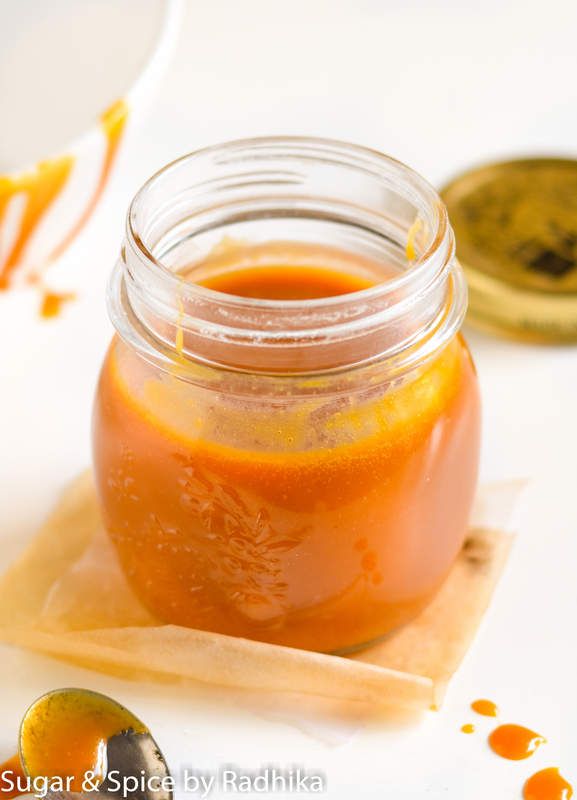 Transfer the caramel to a glass jar and store it in the refrigerator. I made mine 3-4 weeks back and it's still perfect. FOR DESSERT RECIPES GO HERE. yummmmmmm – totally one of my favorite things to eat and add to almost anything! Hi, tried this today turned out perfectly wellllll. Loved it. Is it necessary to use heavy cream or can we use the tetra pack amul cream too?? is it okay if i dont add salt? like i only want caramel sauce. should i reduce sugar? Hey,i tried making this sauce today. My sauce has a dark brown color and is way too bitter than what i would have liked. 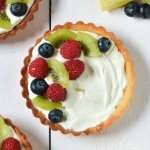 It probably got burnt, but i followed this recipe step by step.I don’t know what went wrong.Can you help? 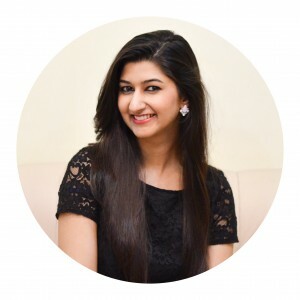 Hi Shreya! It seems like you burnt your sugar. Did you use a light weight pan to cook it in? Very often that’s the reason behind the problem you’re facing. Refrigerate it becomes hard and grainy..what should I do? Should I stir it once I add cream? 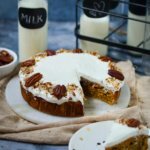 Have earlier tried quiet a few recipes but it was in vain, this one’s amazing! So happy to read this! 🙂 Thanks for writing! 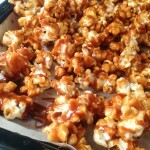 I tried this salted caramel sauce recipe of yours and it turned out the way it should have been. Perfect. This stuff tastes like bliss 😍😍😍. I must say that this caramel sauce is posing competition for the Hershey’s. The best part of your recipe was that it was less time consuming and extremely easy. Oh yay! So happy! Really appreciate you taking out the time to drop in such a sweet comment! Hope to hear from you again soon!